Feeling Disillusioned or Frustrated at your job? Development Coach, Alex Wright sits down with our host, Danna Redmond to discuss how unpacking why you might feel like this and what you can do about it. If you are feeling unsatisfied in your job, Alex recommends that you need to "unpack" what is really happening and causing your dissatisfaction and discontent. It may not be what you initially think it is once you do this deeper dive "unpack". If you want to be more satisfied in your job you need to know what is causing your frustration, dissatisfaction and disillusionment. It takes courage to start to address discontent or dissatisfaction. This can be process that takes months and is not usually a quick fix so give yourself the time you need to understand your job dissatisfaction and how to address it. Listen in as Alex and Danna discuss tips and tricks for addressing your discontent on the job. People are looking for the opportunity to be successful so look into how you are defining success to help ensure that you are on a path to be more satisfied with your job. Career success can be different for many people. Are you interested in promotions, bigger more impressive titles, a job that serves others, or having flexibility in your work hours? Each one of those is a different way to being satisfied on with your career and on the job. Keep a journal of our experiences and log the way you are feeling. Be honest with yourself about whether something at work was a good experience or a bad experience. Own your assessment of the situation. Go back and read over it. Now look again and see if you can see it from a different perspective when you re-read it. Stay in touch with yourself and your reactions to situations. Listen to this episode as Alex discusses ways that journaling can be a tool to help with your career satisfaction. 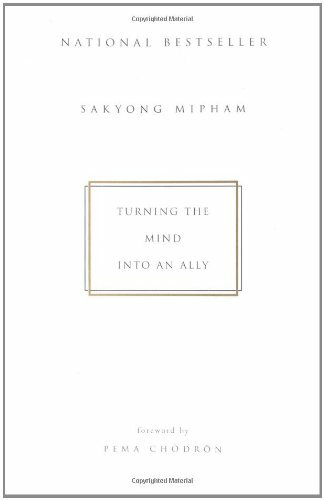 Alex recommends a great book called "Turning the Mind Into an Ally" that talks about making you aren't telling yourself "stories". These stories this can be the source of your dissatisfaction. Another recommendation to help be satisfied with your job or career is to use Awareness Meditation. Awareness Mediation is a way to quiet the mind. You are aware of things but you don't judge them or let them bother you. Listen into The Career Cue podcast episode with Alex Wright and Danna Redmond to dive deeper into how to be more satisfied with your career.